With this 2 inch strap you can rest assured that your ride will have safety and comfort all in one. This harness is extremely comfortable and is something you can rely on to help keep you and your passengers safe. It has a sewn in shoulder pads for extreme comfort and is adjustable for all sizes of kids and adults. The harness is all black and has a front chest buckle to keep shoulder straps in place. These Harnesses also feature the Auto Buckle so it makes getting in and out of these a breeze, yet they are still strong and will keep you safe! 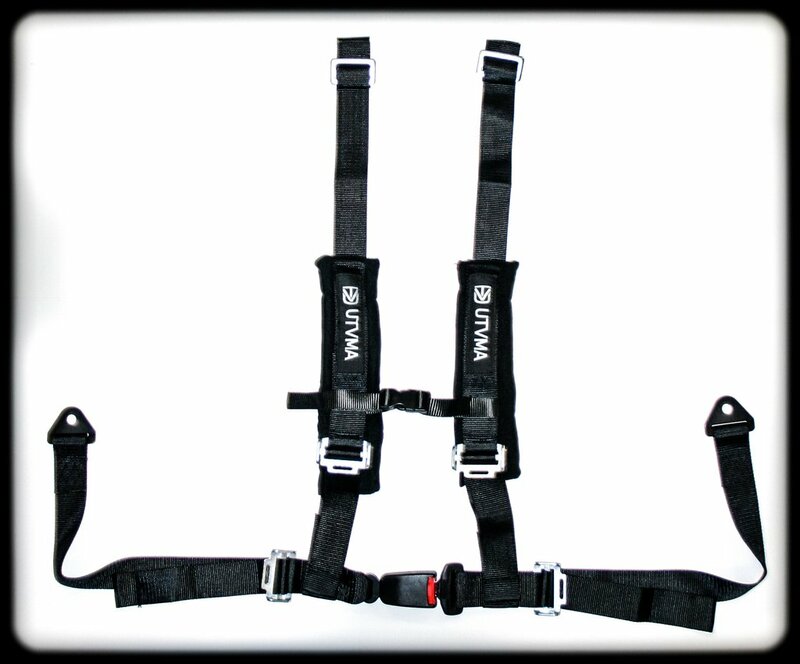 Get some 4 Point Harnesses for your UTV today, you won't be disappointed! - Product is durable and safe. the hardest part was removing the old belts. The new belts installed easily and work good. Q: Can I mount these harness without a cross bar? A: No, you must have a cross bar for the shoulder straps to mount to.